We are always thrilled to hear from Hanford Old Girls and you’re very welcome to come and visit the school. A quick phone call to the office on 01258 860219 before you come can ensure that we can have someone on hand to show you round. 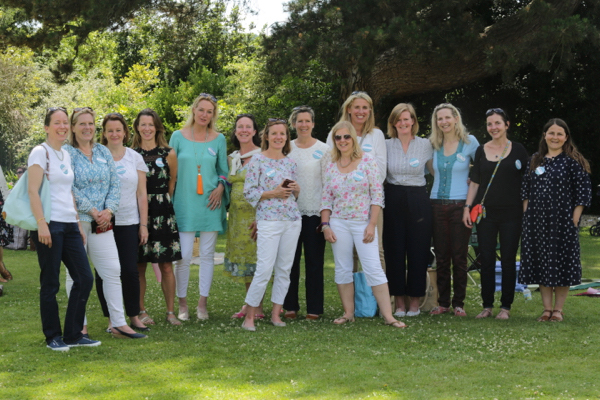 If you would like to receive our newsletters and information on any forthcoming events, please send an email to Karen Mallinson, our Head of Admissions who also looks after our Alumnae. When girls return to Hanford after years away, they remark (with considerable relief and joy), how little has changed: the curriculum may include ICT as well as Art Appre, the tree may have lost a few branches and there may even be electronic locks on some of the doors, but they are pleased to learn that the girls still love to climb the tree, play on the see-saw, make dens in Chestnut and jumps in Tumbledown; the Summer Play continues to be performed in the shadow of the plane tree; there are still early morning rides up Hod and Ham; the Nativity still takes place in the hall during Advent; and Mrs C’s Day is still one of the major events of the early Autumn. Above all, they are delighted to see that the girls are happy and enjoy a freedom of mind and spirit which I think is unique to this school. Little has changed at Hanford because it is so good. Mrs C and the Reverend Clifford Canning founded Hanford in 1947 in the firm belief that children are best prepared for their adult lives if they are given the freedom to develop in their own time in as diverting and carefree an environment as possible. This is their legacy, an outstanding and enlightened education for girls in which they can enjoy being children while still fulfilling their potential (academic, artistic, sporty, dramatic… whatever), grow in confidence without becoming arrogant, develop their creativity and curiosity, learn to give things a go without a fear of failure and create lifelong friendships which have always been a hallmark of this school. Hanford girls leave without a sense of entitlement – but knowing how lucky they are to have been here. Sarah C built on her parents’ exceptional legacy. It was her ethos, vision and leadership which enabled generations of Hanford girls to benefit from this truly enlightened education. Furthermore, it was her generosity throughout her lifetime that enabled the school to weather the occasional financial storm. In 2004, in an act of extraordinary generosity, she transferred the school, house and stables to a charitable trust. Following her death, she bequeathed further properties and a substantial sum to the school – enabling us to begin work on protecting the fabric of the school. All those who are fortunate enough to have spent time at Hanford – as girls, as parents, even as staff – will know what an impact it has had on their lives. This is entirely due to the extraordinary academic and financial legacy of the Cannings. With Sarah C gone, it falls upon us to protect and build upon this legacy. We need fundraising support through individual gifts and legacies to complete the work on the house that we all love so much and to develop a bursary fund to support those who would benefit from a Hanford education but cannot afford it. With your support, we can achieve anything. There is also a lively and busy page on Facebook which the school doesn’t run but if you are interested in keeping up to date with other Old Hanford Girls it can be a good place to start. Click here to be redirected to Facebook.